Auto-tagging is a feature that you can set up in the Wholesale Hero app to automatically tag a customer to a specific discount group. This saves you time and effort to tag customers one by one for them to avail of the discounts you are giving out to all who belong to the group. This article will show you instructions on how to set up auto-tagging in the Wholesale Hero to automatically tag a customer. Step1. 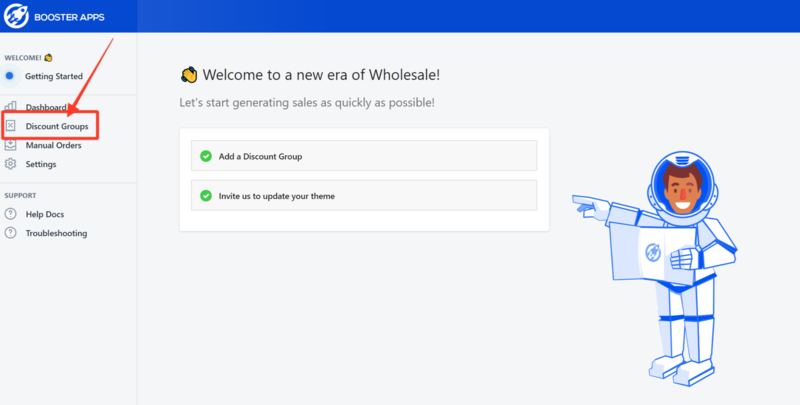 Launch the Wholesale Hero app and click Discount Groups. Step4. 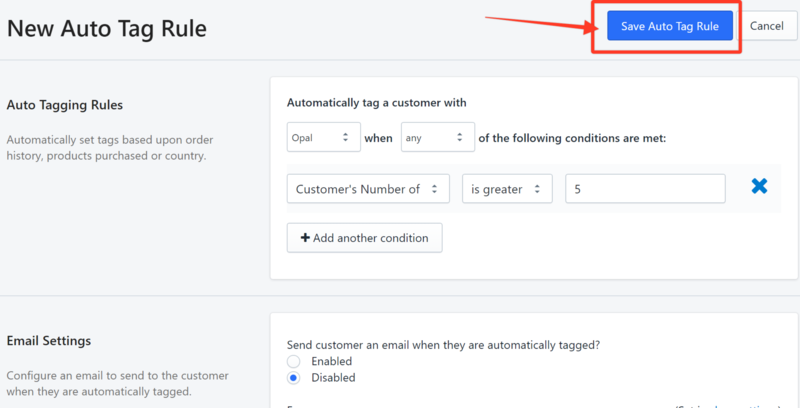 In the Auto Tagging Rules section, click the drop-down arrow in the "Automatically tag a customer with" field and choose the discount group that you want the customer to belong. In this example, we choose the discount group, Opal. Step5. Click the drop-down arrow and choose if you want ALL the conditions to be met or just ANY of them. In this example, we are going to choose any. Step6. Click the drop-down arrow to set a condition for the customer to be qualified to be auto-tagged. In this example, we choose Customer's Number of Orders is greater than 5. Step7. (Optional) To add more conditions, click the +Add another condition and repeat the steps. Step8. Choose if you want to enable Email notification to the customer to inform them that they are tagged. In this example, we left it to Disabled. Step9. Click Save Auto Tag Rule.